Ghost Hunting Theories: Legendary Christmas Monsters! 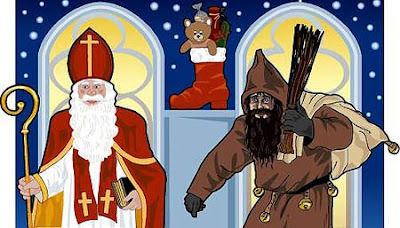 Talk about a holiday buzzkill, European children had to be pretty frightened of Christmas - it could be really good or incredibly evil. In many ways, it reflects religious beliefs of a Divine reward or a hellish punishment. 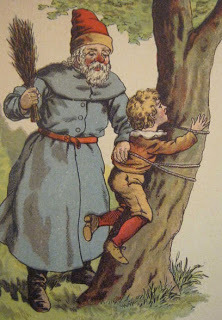 This German legend involves a raggedy looking man with a stick in one hand, candy in another. He either rewards or punishes children. 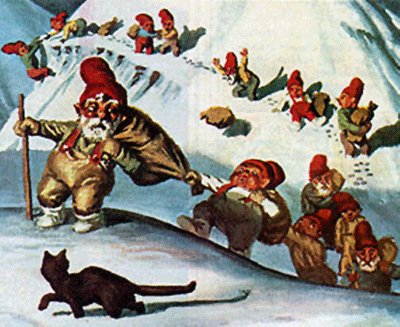 These "Yule Lads" are an Icelandic tale that involves 13 dwarves who bring Christmas, kind of like a bunch of little Santas. They also punish the bad kids. The children put shoes in their windowsills the last 13 days of Christmas, awaiting gifts or rotting potatoes. These fellows are supposedly the sons of mountain Trolls. Another Icelandic mythical creature. 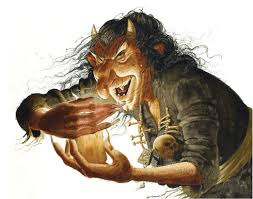 Originally, she was the mother of the Yule Lads. She is considered a natural radar for knowing what kids are bad. She reportedly leaves her cave to eat the bad children. This Austrian and Bavarian figure is a damn scary one. 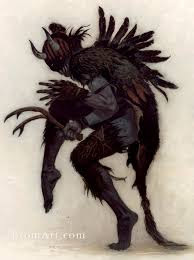 Krampus is said to be tall, hairy, dark, with a long floppy tongue, horns, chains and bells. Once again, this figure is there to punish the bad kids. Over time, he has changed to a kind of devil figure for Christians who reinterpreted this pagan figure. Now, he is seen as someone who will beat, eat, or sell bad children into slavery. 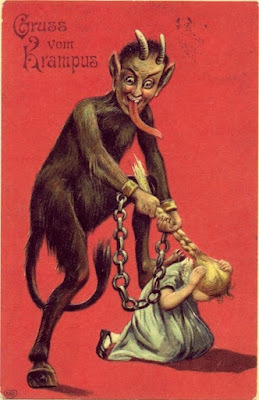 I guess coal in the stocking wasn't enough for Santa, he needed a companion that was the Lucifer to his Christ. Known as the whipping father, Fouettard would attend with St. Nick to whip the bad children. He is seen as a man with a long beard, long hair, wearing dark garb. 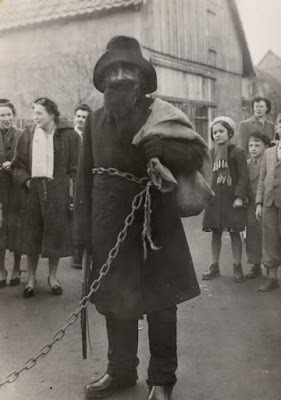 Dressed in a brown robe, this nasty companion to St. Nick was said to beat children with a sack filled with chimney ash (*cough*). If that wasn't enough, he left the parents a stick to beat the child in the morning. This Germanic lady figure does the most vile things, wandering the countryside at Christmastime and slitting the bellies open on bad children, spilling their guts out and replacing it with straw! Well, for those who were sad Halloween was over, Christmas brings a whole slew of new scary stories. 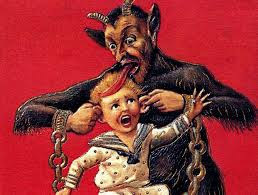 If you're looking for movies based on these characters, start with the beautifully-done "Krampus!"